The American Zionist Movement is pleased to introduce Chicago’s new Executive Director, Becky Adelberg. Becky has been involved in the Jewish communal world for her entire professional career. As Chicago Executive Director, she will work to actively engage young Jews with Zionism, creating the next generation of Zionists. Becky has most recently served as the Midwest Field Worker for KOACH, the college department of United Synagogue of Conservative Judaism, the Chicago Community Outreach Coordinator for Jewish Women International. She is also the co-founder of an organization called Club 1948 which brings together Americans and Israelis for social, cultural and educational events. Becky holds a Bachelor of Arts in Communication Studies from the University of Kansas and a Dual Master of Arts in Jewish Studies and Education from the Siegal College of Jewish Studies in Ohio, where she received the award for outstanding achievement. It is also noteworthy that Becky’s earliest Zionist commitment and involvement was with a Zionist Youth Movement, Habonim Dror, the Labor Zionist youth movement and a member of the American Zionist Movement. She has already begun to establish AZM programming reaching out to the next generation of Zionists. AZM Chicago has held the first in a series of Israeli Movie Nights, featuring movie screenings and discussion from the AZM Film Guide, as well as the first gathering of the AZM Book Club, where young Zionists will gather to read and discuss works of contemporary Israeli literature as well as traditional Zionist texts. AZM would also like to announce the retirement of Linda Harth from the position of Executive Director of AZM, Chicago Region, in which role she has been tireless in her service of the Chicago community, AZM, and the broader Zionist Movement for thirty years. 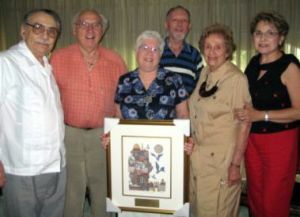 During her long career, Linda was responsible for many new initiatives bringing Chicagoans closer to Zionism. The Scholar in Residence Program allowed Israeli scholars to speak at communities throught the Midwest, and many came back to be visiting professors at Midwestern universities. In 1987-1989, AZM Chicago held community-wide Yom Yerushalayim parades featuring floats and bands, with Judge Seymor Simon as Grand Marshal of the parade the first year, and Mayor Dailey the second. 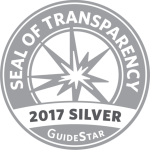 “All the state senators and representatives participated, and the program was very well-received,” Linda said. Linda also highlights working together with the shlichim and the Aliyah Center, the fruits of which included the development of an Ulpan program which ran for 18 years and was the first such program bringing modern spoken Hebrew to the community. In addition, Linda instigated the AZM Concert, featuring young, up-and-coming Israeli classical musicians with the dual purpose of bringing Israeli culture to the community and to raise funds for AZM programs. All the while, AZM Chicago has participated in all national programs. As personal highlights, Linda recalls being able to attend the Faye-Schenk Zionist Professional Seminar, a five-week program in Israel. To learn more about AZM Chicago or become involved with AZM Chicago programming, please call Becky at 847-677-5949.  AZM – the American affiliate of the World Zionist Organization – is an umbrella organization that works to strengthen the connection of American Jews with Israel, facilitating dialogue, debate and collective action to further Zionism in the United States and abroad.